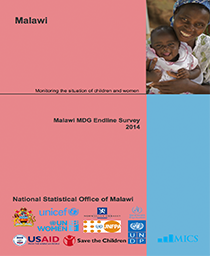 The second Malawi nationwide GEMINI Micro and Small Enterprise (MSE) baseline survey was carried out between October and December 2000. 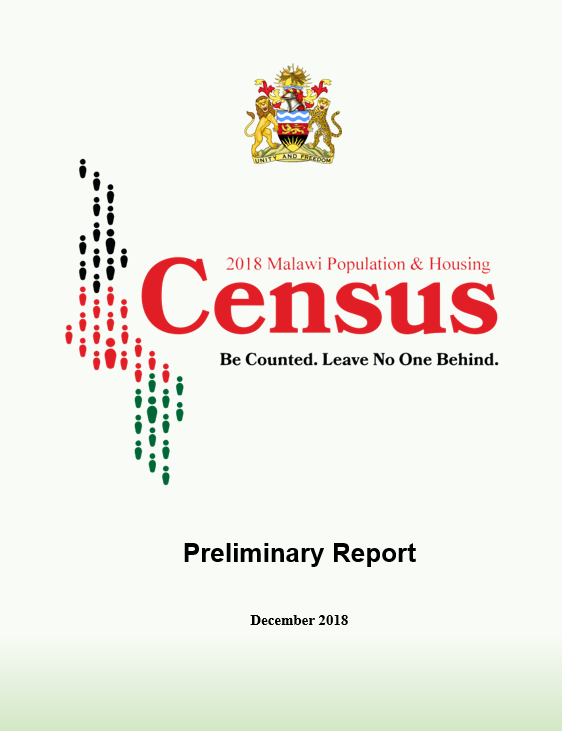 The survey was conducted by a multi-disciplinary team from Ebony Consulting International, the National Statistical Office (NSO), Kadale Consultants, and Wadonda Consult and was funded by the British Department for International Development (DFID). 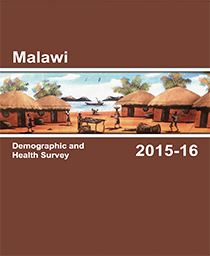 The general objective of this survey was to provide an overview of the MSE sector in Malawi, a sector that has often been missed by more conventional survey methods. This survey has therefore captured business start-up, employment growth, and reasons for business closure, impact of HIV/AIDS and the contribution of the sector to the national income. The results from this survey will be of great use by the government as well as non-governmental organisations in developing programmes and policies that support the development of the private sector as well as projects initiated to alleviate poverty through income generating activities. The survey team visited over 26,000 households and enterprises throughout the country. They collected data from both rural and urban areas through a stratified random sampling methodology. It involved a complete enumeration of any household or enterprise income-generating activity within the selected Enumeration Areas. 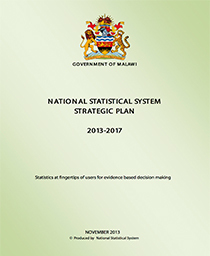 This second Malawi Nationwide GEMINI Micro and Small Enterprise (MSE) baseline survey was carried out between October and December 2000 by a multidisciplinary team from Ebony Consulting International, the National Statistical Office (NSO), Kadale Consultants, and Wadonda Consult. The survey team visited a stratified sample of over 22,000 households and small businesses to identify active business activities of all kinds employing fewer than 50 employees. This study also enumerated on-farm agricultural activities, as long as 50 percent of the production was sold and the household earned more than MK 6,000 from the sale of the produce. More than 6,000 data points were enumerated from randomly selected enumeration areas around the country. This survey complements the survey carried out in 1992. As the methodology has evolved and improved, we have been able to get a better feel for the entire sector as well as how it has changed over the last 8 years. In addition, we have a new picture on several other issues: primary production activities as MSE and the question of which MSE are being most affected by HIV/AIDS in Malawi. · By employing over 1.7 million people, MSEs employ about 38 percent of the total Malawian labour force. · The off-farm enterprises employ about 22 percent of the total labour force. · Over 80 percent of the MSE are located in the rural areas. When contrasting the results of this survey with the 1992 survey, it is clear that there have been some important shifts. · Off-farm MSE have decreased in overall numbers, though there has been an increase in the number of urban enterprises, more than matching the marginal increase urbanisation of the country. Survey results reveal that over the past two years, more MSE have been closing than have been opening. This may be due to a number of factors, though HIV/AIDS may be playing an important role in this phenomenon. · It is not possible to provide a detailed comparison with the agribusiness sector, but the change in government and policies has certainly had an impact on stimulating agricultural cash crop production, especially burley tobacco. · Though there are fewer firms overall in the off-farm sectors, those with two to 10 employees have increased in number. Since employment is often considered a proxy for strength of the firm, this indicates that there might be a higher percentage of more dynamic firms. In terms of enterprise dynamics, we see that about 80 percent of the firms are stagnant and serve primarily as additional sources of income for the household. However, as many as 20 percent of these firms are growing and are reinvesting some or all of their profits into the firms. Women own about 34 percent of the firms outright, but they are also very active participants in husband and wife owned firms. These latter tend to be farm based activities, but it still means that women are whole or partial owners of more than half of all MSEs in Malawi. The review of agribusiness MSE reveals that these are the sectors with the greatest potential for employment, growth and profitability. Natural resource based sectors (fishing, mining, livestock, and crop production) are growing at faster rates and usually yields more profits to the owners and employees. In terms of total firms and employment, burley tobacco dominates all firms in the country with over 15 percent of the total MSEs (and 25%of total MSE employment), followed by vending farm products, vending fish, distilling, food preparation and beer brewing. In addition, these firms tend to last longer and represent more stable growth patterns. In terms of the effects of HIV/AIDS on Malawian MSE, 12 percent of the firms were aware of being affected by the disease, answering a direct question on the subject. The sectors where the effects are most felt are construction, services, forestry, and commerce and trade. In terms of proportional representation, the urban industrial and urban low-income firms bear the brunt of the impact. The lake shore regions are the least affected. However, when reviewing responses to proxy questions that provide more information on the firm, the numbers of firms being affected increase substantially, with more than 37 percent indicating that they were likely to be affected. This has important implications for the country as a whole, and for the kinds of programmes that could be developed to assist the MSE. Relatively few firms in Malawi are able to access business support services. The heavy rural orientation of the enterprises may be one reason, but the nature of the businesses may also be a factor. What is disappointing is that from among those firms that did receive support, there is a mixed set of results in terms of increased sales and employment. Given that training programmes and other direct support mechanisms are often very expensive per firm serviced, especially in relation to their overall turnover, this has important implications for the future of support services. This provides some incentive to change the focus of the support programmes to a sectoral level, focusing on strengthening linkages and achieving greater leverage through market oriented activities. Subsector or Cluster type programmes present some interesting opportunities in Malawi, especially based on the natural resources subsectors and focusing on the firm linkages from the production/harvesting through processing and marketing of the products. When looking to sectoral development programmes, one should target sectors that show strong market growth potential, as that will be the “pull factor” to stimulate and absorb increased production. In a country like Malawi, which has a very low per capita income, there is limited internal purchasing power, so products for export will offer stronger possibilities for growth. Within the natural resource based sectors, fishing, tobacco and other export crops stand out. Within the rest of the economy, construction and transport get a large portion of the marginal increases in expenses, so they are also good markets to target.